I am currently investigating whether increased water flow will allow for increased density at which Macrobrachium rosenbergii can be grown in tanks. Some have reported that it is possible to achieve more than a 10X increase in density. 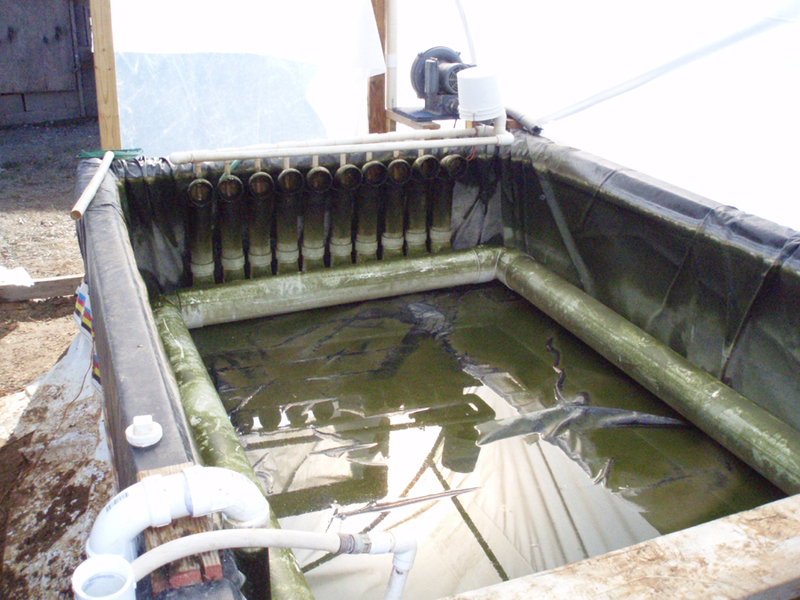 Results like this would mean that it is possible to raise production in a tank such as that pictured below from 30lbs. to 330lbs. 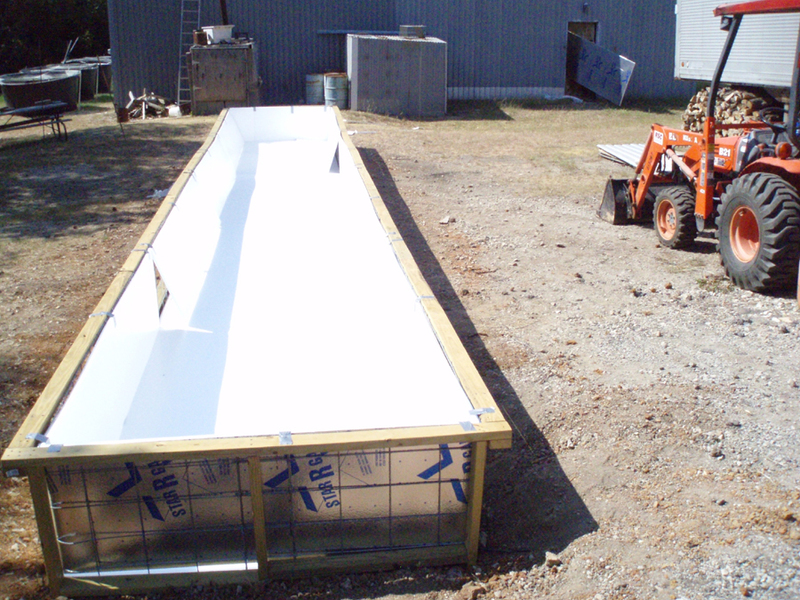 The 6' x 40', 2' deep, 3,000 gallon raceway below was constructed using common materials. 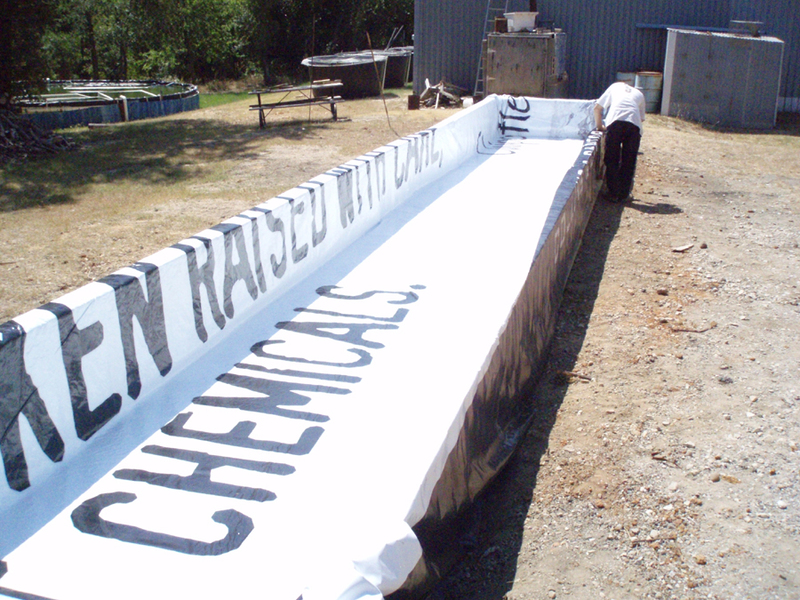 The liner is a 14' x 48' used bill board tarp, purchased off of Craig's List for $30. Building the frame. 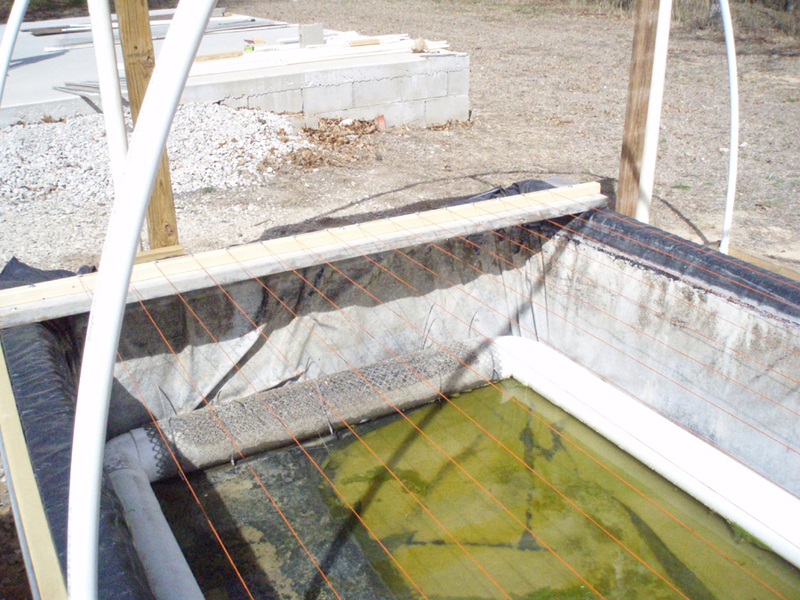 Wire is stretched across the bottom to secure the sides and to keep the tank from bulging out when filled with water. 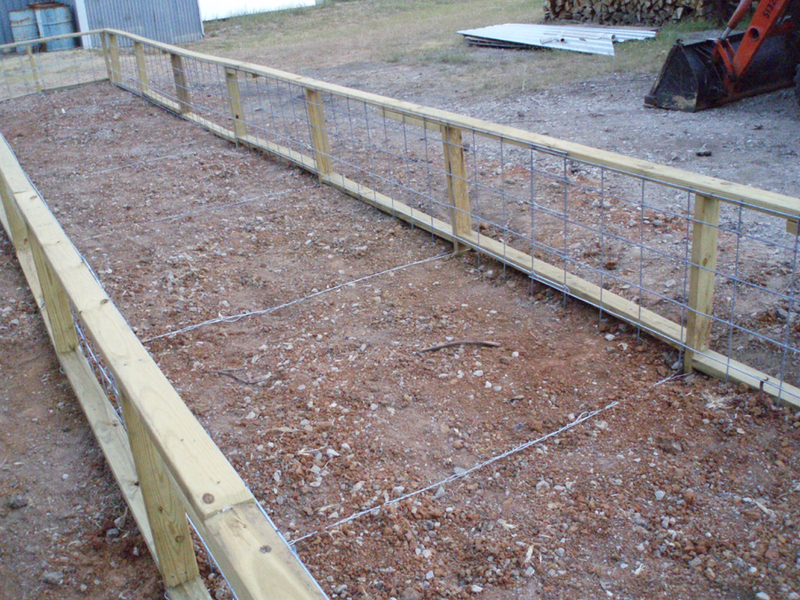 Lapping the corners with cattle pen fence. Note the short piece of PVC pipe (lower center) used to tension the wire across the bottom. Installing the styrofoam. 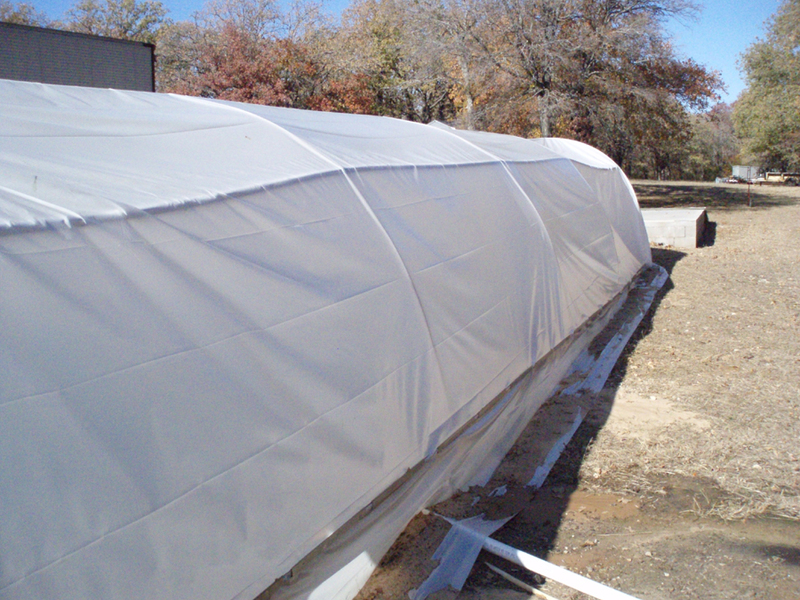 Insulating the tank is critical to extend the growing season. The styrofoam also protects the liner from the sharp areas of the frame. Laying the liner into position. 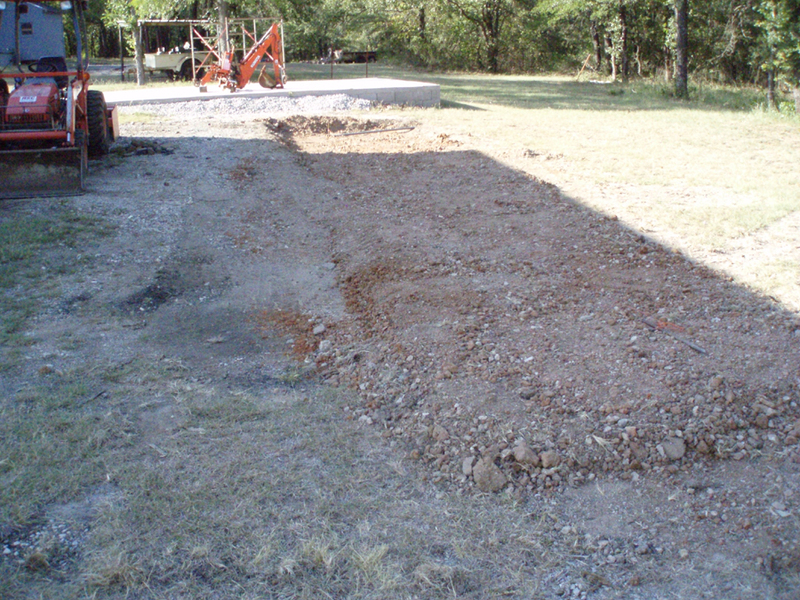 The corners should be sharp bends and the liner should lay as flat as possible against all surfaces. 6" water intake for the air lift system. Finished tank. Note the 2"x6" planks used to keep the tank from bulging on the sides. 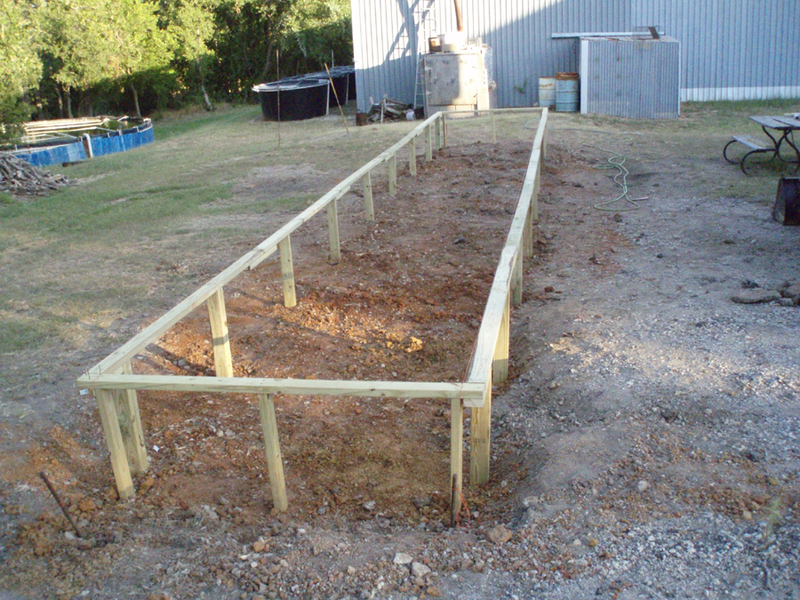 Open area between the planks is 9'. 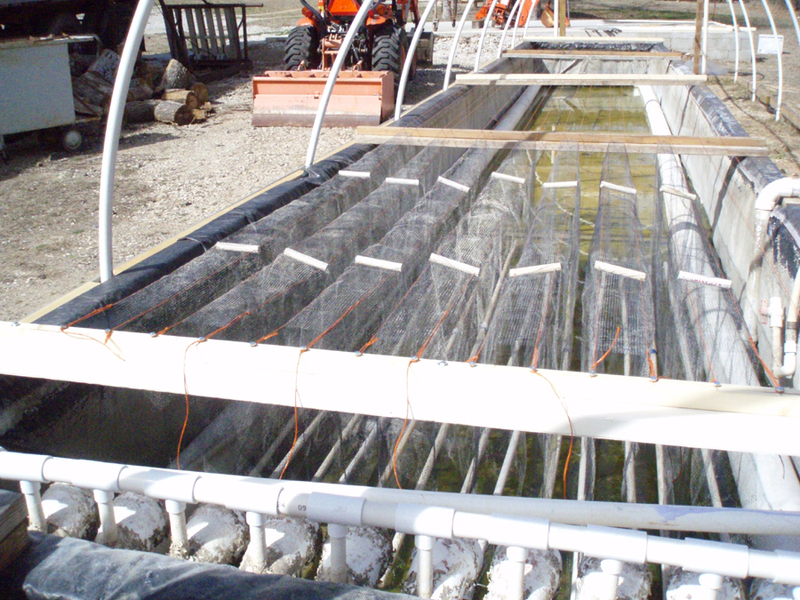 Cord is stretched lengthwise down the tank to provide a hanging surface for the substrates. Substrates hanging in the tank. 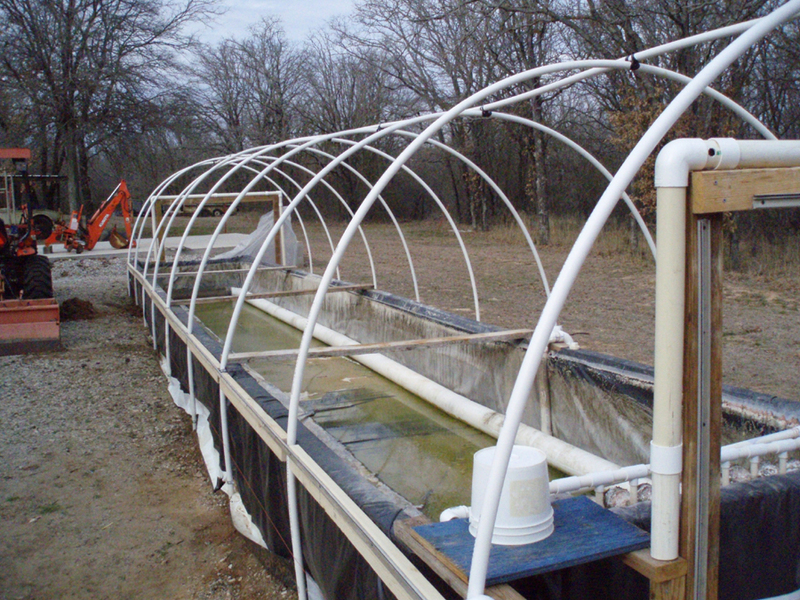 The substrates hang across two cords and are weighted down on the sides with 1/2" PVC pipe. Short pieces of notched PVC pipe are positioned under each substrate to keep the lengths of cord approximately 4" apart. 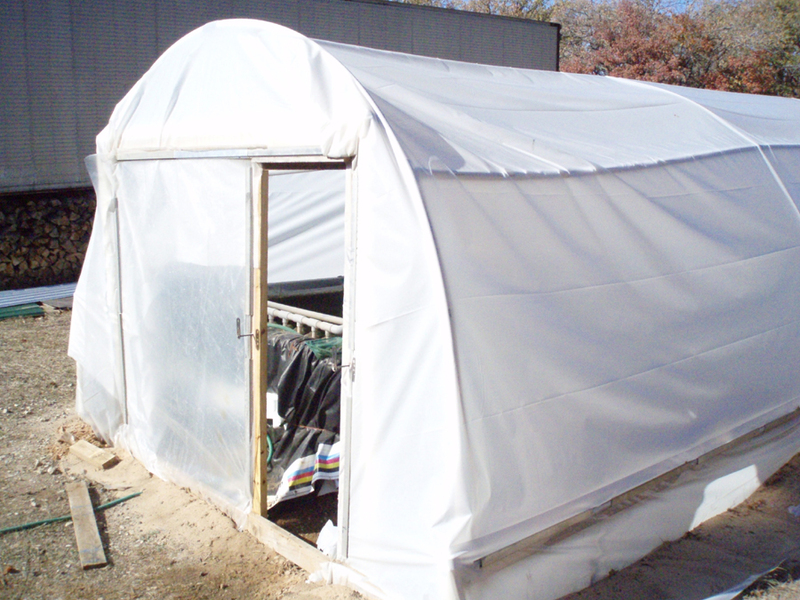 The greenhouse frame is constructed with 1" PVC. 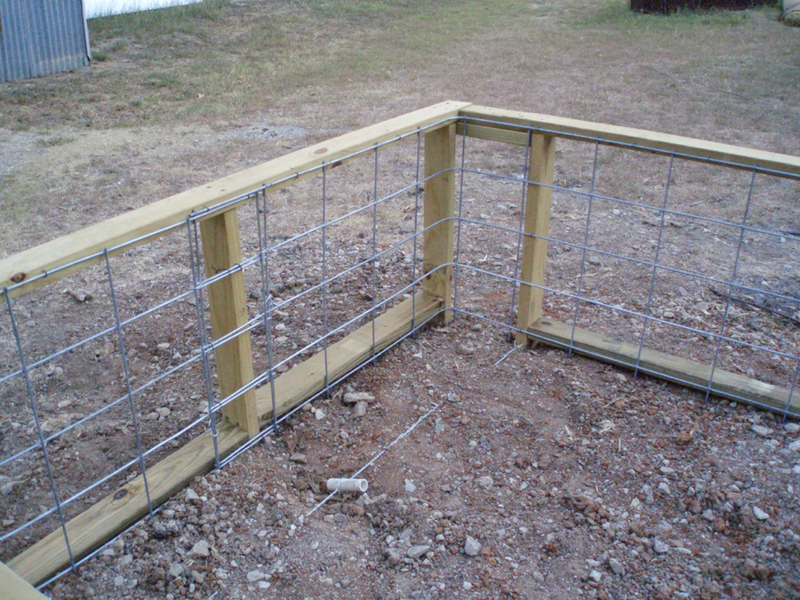 The curved hoops are 20' in length and have a 20' length of 3/8" rebar inside for additional strength. Conduit brackets secure the hoops on the near side and form stakes used for concrete work secure the hoops on the far side. 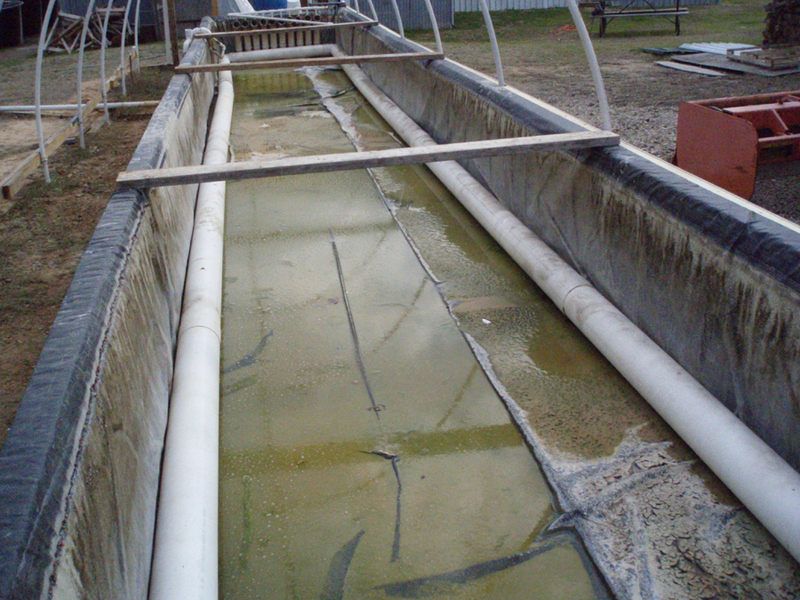 Plastic is stretched over the greenhouse frame and secured with standard track and caps used in greenhouse construction. 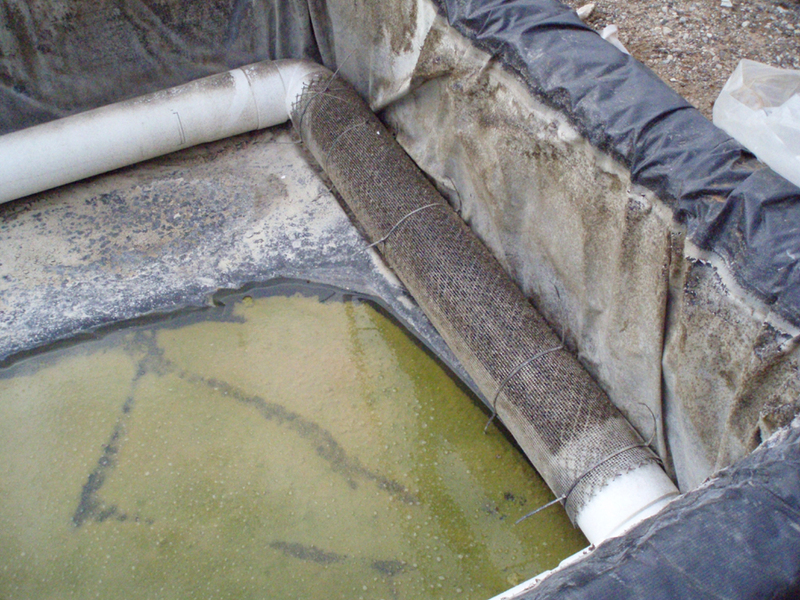 Sand is used to seal the loose end of the plastic to the ground. A wooden frame is constructed to secure the plastic at both ends. This end has a door for daily access. 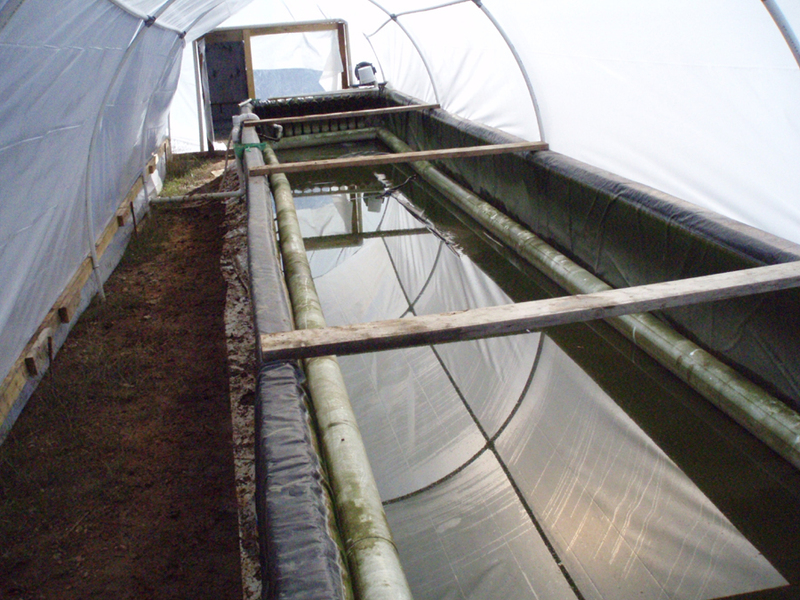 The finished raceway and greenhouse as shown from the inside. On the right side at the far end you can see the blower motor used to drive the air lifts. The results of this experiment will be posted at the end of the growing season and as the data is returned. Bookmark this page and keep checking back to follow this exciting experiment! 4141 E. IH-20 Serv. Rd. 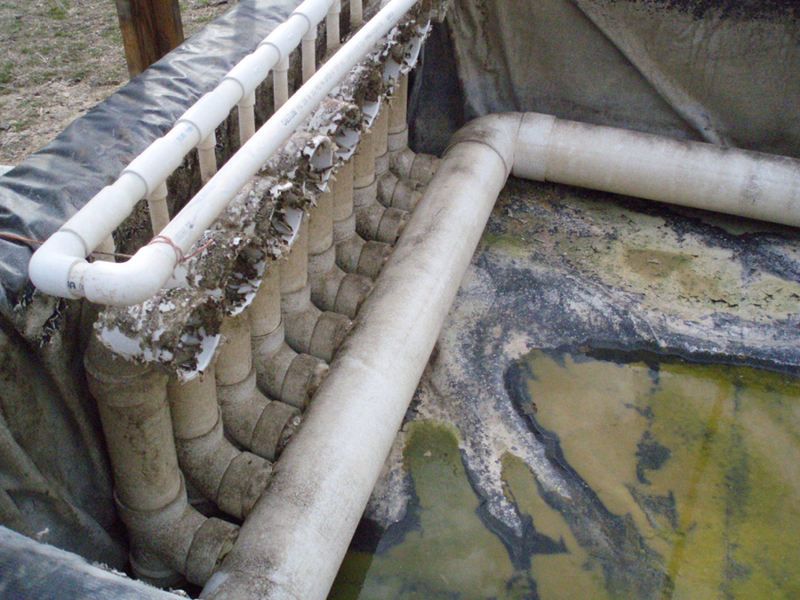 N.
Copyright 1986-2012 © Aquaculture of Texas, Inc.